A recent report in Devex, ‘Agriculture and food security—where are we headed in 2017?’, delves into the future of agricultural research given increasing climate change impacts globally. With increasing populations, more extreme weather conditions, greater variability in temperatures and rainfall, and greater incidence of natural disasters such as drought and flood, researchers are considering the future role of agricultural science in relation to establishing long-term food security. The article was prompted by high-level discussions with agriculture and food security researchers, the Australian Centre for International Agricultural Research and the Department of Foreign Affairs and Trade in Canberra late last year. “We need to come together to have a greater consensus on priorities to be more focused on the geographies where we are going to have a greater impact,” said Ruben Echeverria, Director General of the International Center for Tropical Agriculture (CIAT). 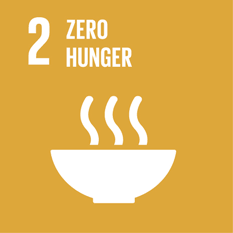 Agriculture and food security research in relation to the 17 Sustainable Development Goals, which have a focus on growth and development in the Indo-Pacific region. Developing long-term goals with a focus on increasing collaborations, creating better linkages, scaling out of projects and more sustained funding. Involvement of agricultural researchers in resource assessments and long-term environmental and agriculture policy and development decisions. Identifying the potential for rehabilitation projects in post-conflict countries to restore agriculture in these regions. Scaling up of important research into heat-tolerant lines of wheat, to ensure reduced negative impacts on developing countries.